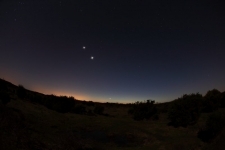 Taken last night (05/03/2012) over the New Forest with the Canon 5D MkII and a fish-eye lens. 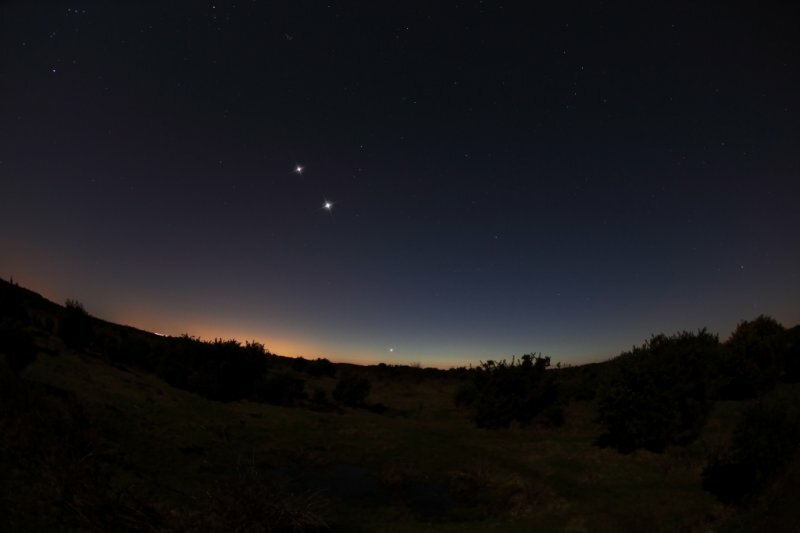 In this image we have Jupiter as the highest bright object, next down is Venus, and the reddish (small) object close to the horizon is little Mercury, my favourite planet. Blazing Moon overhead so no good for deep-sky work, but pretty excellent for capturing planets. Got home to realise I should have taken a ton of shots to make an animation of Mercury setting – oh well, maybe next time.